Back in 2004, I visited the exhibit Jean Cocteau: Enfant terrible at the Montreal Museum of Fine Arts. It was a wonderful show, and introduced me to Cocteau’s drawings, none of which I’d seen before, and many of which were pornographic enough to be squirreled away in a special section of the exhibit with dim red lights and a warning to parents outside. The show also featured some original costumes from Cocteau’s masterpiece, La Belle et la Bête (Beauty and the Beast) (1946), which I’ve loved since I first saw it in high school. 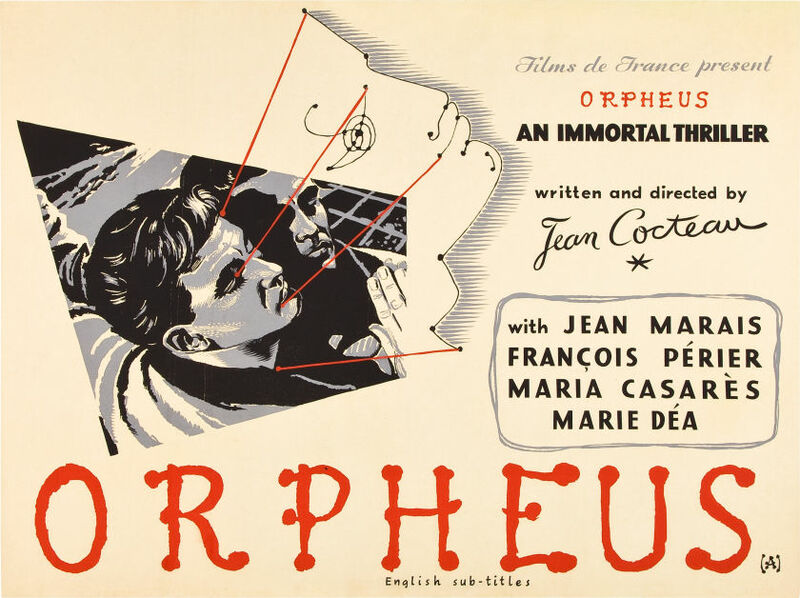 Orpheus stars Cocteau’s longtime lover Jean Marais, and is loosely based on the ancient Greek myth of Orpheus, the musician who traveled to the underworld to save his wife, Eurydice. Marais plays a poet named Orphée (the French version of the name “Orpheus”), who travels between different realms of reality — first against his will and later quite purposefully. 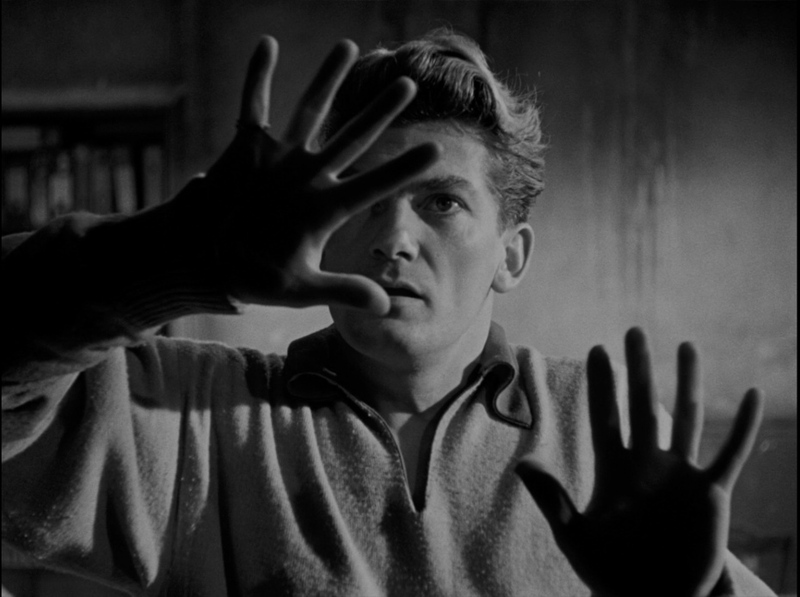 As I said, Cocteau’s Orpheus is only loosely based on the myth of Orpheus. For Cocteau, that tale is just a jumping-off point for his visual poetry, and his musings on life, death, dreams, art, and love. Orpheus is a beautiful film, but it’s also a very funny one. Cocteau’s arch, camp sensibility is fully on display here, and the most heartbreaking part of the original myth of Orpheus — the doom that awaits if he turns around and looks at his beloved when they exit the underworld — is played mostly for laughs in Cocteau’s Orpheus, and becomes just one more domestic annoyance that the great poet must deal with. I loved Orpheus, although it’s definitely not a film for everyone. This is a movie in which Death takes the form of a beautiful woman (María Casares) who travels in a Rolls Royce and is attended by two motorcyclists whose leather get-ups look like something out of a Tom of Finland cartoon or a film by Kenneth Anger. Posted in 1950, March 1950 and tagged André Paulvé, DisCina, Foreign Films, François Périer, French Cinema, Jean Cocteau, Jean Marais, Juliette Gréco, María Casares, Marie Déa, Montreal Museum of Fine Arts. Bookmark the permalink.